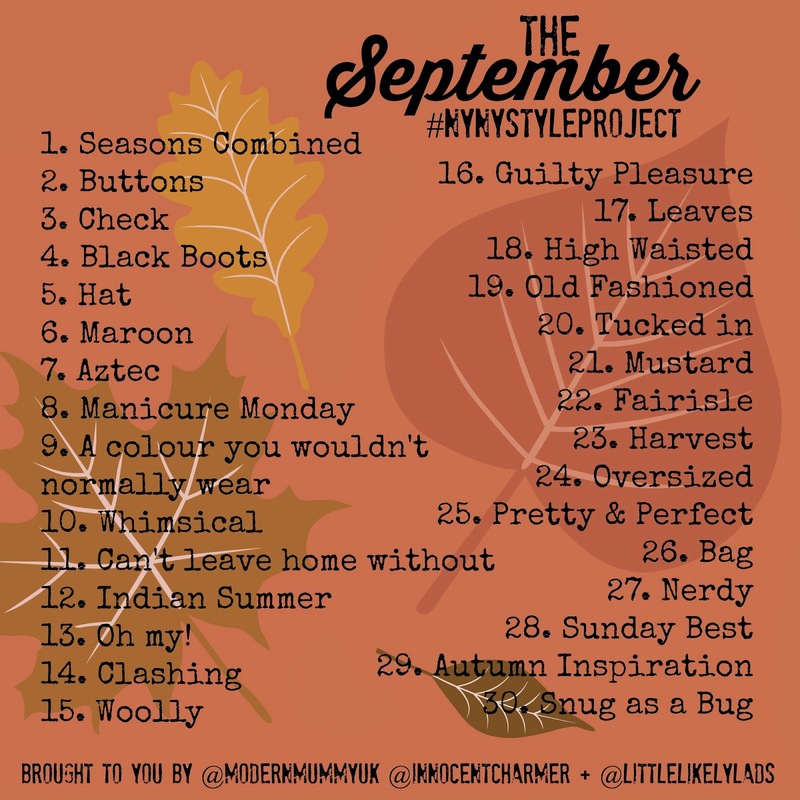 I'm super excited to announce some changes to the NYNYStyleProject from this month onwards, namely the introduction of Kara from Innocent Charm Chats and Carissa from Little Likely Lads to the team! Both of them have an incredible sense of style and have been regular NYNYStyleProject posters from day one so I'm majorly proud and happy to have them on board! The school holidays are coming to a close which means that Autumn will soon be in the air, and with the new season comes new fashion; new styles and colours and textures. I love this time of year so much! September is also the sixth month of the Project (it's been running since January but we took a little break earlier in the year) and I'm so glad that people are still enjoying taking part. I made this little Flipagram of all my favourite snaps from over the past six months and can really see how my style has changed - and how my confidence has increased - whilst doing it. I hope it's had the same, positive effect on those of you that are joining in!